IEEE In this paper, a novel energy management system with two operating horizons is proposed for a residential micro-grid application. The micro-grid utilises the energies of a photovoltaic (PV), a fuel cell and a battery bank to supply the local loads through a combination of electric and magnetic buses. The proposed micro-grid operates in a large number of grid-connected and off-grid operation modes. The energy management system includes a long-term data prediction unit based on a 2D dynamic programming and a short-term fuzzy controller. The long-term prediction unit is designed to determine the appropriate variation range of the battery state of charge and fuel cell state of hydrogen. The efficiency performance of the micro-grid components, predicted energy generation and demand, energy cost and the system constraints are taken into account. The resultant data then is sent to the short-term fuzzy controller which determines the operation mode of the micro-grid based on the real-time condition of the micro-grid elements. A prototype of the proposed micro-grid including the energy management system is developed, and experimental tests are conducted for three different energy management scenarios. The proposed management technique is validated through energy distribution and cost analysis. © 2019 Elsevier Ltd Recent advances in magnetic material characteristics and solid-state semiconductors have provided the feasibility of replacing the electrical buses with the high-frequency multi-winding magnetic links in small-scale renewable energy systems. This effectively reduces the number of conversion stages and improves the system's efficiency, cost, and size. Other advantages are galvanic isolation between the ports, bidirectional power flow capability and flexibility in energy management and control. Despite the advantages, design and development of the multi-winding magnetic links is relatively complex and based on computationally expensive numerical methods. Furthermore, the non-sinusoidal nature of voltage and currents, high-frequency parasitic effects and nonlinearity of magnetic material characteristics increase the design complexity. In this paper, the reluctance network modeling as a fast analytical method is used to design a three winding magnetic link. The core and copper losses of the designed component are evaluated taking into account duty ratio, amplitude and phase shift of the non-sinusoidal excitation voltage and currents. The thermal analysis is carried out using an accurate thermal-electric model. A prototype of the magnetic link was developed for application in a residential renewable energy system using amorphous magnetic materials. A set of experimental tests are conducted to measure the electrical parameters, magnetic characteristics, core loss, copper loss and temperature rise of the designed component and the results are compared to the specifications to validate the design procedure. IEEE In this paper a grid-tied residential smart micro-grid topology is proposed which integrates energies of a PV, a fuel cell and a battery bank to supply the local loads through a combination of electric and magnetic buses. In contrast to multiple-converter based micro-grids with a common electric bus, using a multi-port converter with a common magnetic bus can effectively reduce the number of voltage conversion stages, size and cost of the micro-grid and isolates the conversion ports. The resultant topology utilizes a centralized system level control which leads to the faster and more flexible energy management. The proposed micro-grid is able to operate in multiple grid-connected and off-grid operation modes. A fuzzy controlled energy management unit is designed to select the appropriate operation mode considering both real-time and long-term-predicted data of the system. A mode transition process is designed to smooth the mode variation by using a state transition diagram and bridging modes. To improve the micro-grid operation performance, appropriate control techniques such as synchronized bus-voltage balance are used. A prototype of the proposed micro-grid is developed and experimentally tested for three different energy management scenarios. Energy distribution and energy cost analysis are performed to validate the proposed control method. Improvements in characteristics of magnetic materials and switching devices have provided the feasibility of replacing the electrical buses with high-frequency magnetic links in small-scale micro-grids. This can effectively reduce the number of voltage conversion stages, size and cost of the micro-grid, and isolate the sources and loads. To optimally design the magnetic link, an accurate evaluation of copper loss of the windings considering both the current waveforms and parasitic effects are required. This paper studies the copper loss analysis of a three-winding high-frequency magnetic link for residential micro-grid applications. Due to the non-sinusoidal nature of the voltages and currents, the loss analysis is carried out on a harmonic basis taking into account the variations of phase shift, duty ratio and amplitude of the waveforms. The high-frequency parasitic phenomena including the skin and proximity effects are taken into account. The maximum and minimum copper loss operating conditions of the magnetic link and their dependency on the phase shift angle and the duty ratio of the connected waveforms are studied. A prototype of the micro-grid including the magnetic link is developed to validate the theoretical analysis, evaluate the micro-grid efficiency and perform the loss breakdown. This paper presents the development of a residential micro-grid topology based on a combination of common magnetic and electrical buses. The magnetic bus interfaces two low voltage dc buses linking a PV and a fuel cell to a high voltage dc bus connected to a grid-tied single-phase bidirectional inverter. A battery is used to store the surplus energy of the system and stabilise the dc voltage of the fuel cell bus. A synchronised bus voltage balance (SBVB) technique is used to reduce the conduction losses and increase the soft switching operation range of the converters. To improve the maximum power point tracking (MPPT) performance and system efficiency, appropriate control techniques and compensation blocks are designed. The proposed micro-grid is able to operate in multiple grid-connected and off-grid operation modes according to a predictive 2D dynamic programming-based energy management. A mode selection and transition strategy is developed to select the appropriate operation mode and smooth the mode transition. A detailed study of the micro-grid including steady-state operation, small signal modelling, controller design, and energy management is presented. A prototype of the system is developed, and experimental tests are conducted for an energy management scenario. © 2019 Elsevier Ltd In this paper, the importance of the matrix converter stabilization in bidirectional power flow control is investigated. A stabilization technique for matrix converters based on a combination of the damping resistor and the input digital filter is proposed. The suggested technique is applied to a direct matrix converter employed as an interface between two power sources as the main grid and a microgrid to realize a stable four-quadrant power flow control process. The control method is based on the voltage oriented control strategy using anti-windup proportional-integral controllers. The stability analysis using the small-signal model of the converter is presented and simulated numerically. The proposed stabilization and bidirectional power flow control methods are validated by experimental tests on a prototype. Malekjamshidi, Z, Jafari, M & Mahmoodi, K 2012, 'Operation of a fuzzy controlled half-bridge dc-converter as a welding current-source', Telkomnika, vol. 10, no. 1, pp. 17-24. A new Fuzzy controlled welding machine (FCWM) current source is introduced in this paper and the results of the new control method are explained. The Fuzzy controller is applied to the welding machine to improve some problems of welding process. The new intelligent controller guaranties a constant current during welding to improve welding quality. It also provides some features such as hot-start and anti-stuck function and a standby mode for energy saving. The effectiveness of this intelligent welding machine was proven by the experimental results and durable test. The results show that designed FCWM can be used in mobile welding industries. © 2012 Universitas Ahmad Dahlan. Jafari, M, Malekjamshidi, Z & Imanieh, M 2011, 'Implementation of a full bridge series-parallel resonant DC-DC converter using artificial neural networks and sequential state machine controllers', World Applied Sciences Journal, vol. 14, no. 9, pp. 1406-1414. In this paper, two methods of control for high-voltage Full Bridge Series-Parallel Resonant (FBSPR) DC-DC converter are proposed and the results are compared. Soft switching operation using Zero Current Switching (ZCS) and Zero Voltage Switching (ZVS) technologies is employed to decrease the losses and optimize the efficiency of converter. The way of obtaining small-signal model of FBSPR converter using the generalized averaging method is discussed. Then two control methods using Artificial Neural Networks (ANN) and Sequential State Machine (SSM) are explained and the experimental results are compared. The ANN controller is trained according to the small signal model of the converter and operating points and the SSM controller operates on base of a finite number of states, actions and functions and determines transition from one state to another according to FBSPR converter conduction status. To compare the performances of two controllers, a prototype is designed and implemented. The prototype is tested for step changes in both output load and reference voltage at steady state and under transient conditions. Comparison between experimental results for both ANN and SSM controllers show better speed performances for SSM controller in small changes in load and more reliability for ANN controller in case of large variations. © IDOSI Publications, 2011. Jafari, M & Malekjamshidi, Z 2011, 'An intelligent controller designed to improve the efficiency of cascade gama-LC resonant converters', Australian Journal of Basic and Applied Sciences, vol. 5, no. 12, pp. 3246-3254. In this paper a cascade-LC resonant power converter on base of a hybrid controller is introduced. The hybrid controller is composed of an Artificial Neural Network (ANN) and a PID classic controller. The structure of converter and its operation in steady state conditions was explained according to steady state model of converter. The ANN controller changes the switching frequency to maximize the voltage gain and consequently the efficiency of converter in case of large load variations. A classic PID controller regulates the voltage on base of an online PWM process. A prototype was designed and implemented on base of theoretical analysis and was experimentally tested. Comparison between simulation and experimental results shows validity of the hybrid controller and its reliability for expanding to other topologies of DC converters. A new method of control for high-voltage Full Bridge Series-Parallel Resonant (FBSPR) DC-DC converter with capacitive output filter, using Artificial Neural Networks (ANN) is proposed in this paper. The output voltage regulation obtained via high switching frequency and Soft switching operation (ZCS and ZVS technologies) to decrease the losses and optimize the efficiency of converter. In the following sections, a Small-Signal Model of FBSPR converter on base of first harmonic analysis and the generalized averaging method is derived. Then the obtained model is used to simulate the dynamic behavior of real converter using Matlab software. It was also used to obtain ideal control signals which are the desired ANN inputs and outputs and were saved as a training data set. The data set is then used to train the ANN to mimic the behavior of the ideal controller. In fact the ANN controller is trained according to the small signal model of converter and the ideal operating points. To compare the performances of simulated and practical ANN controller, a prototype is designed and implemented. The prototype is tested for step changes in both output load and reference voltage at steady state and under transient conditions. Comparison between experimental and simulations show a very good agreement and the reliability of ANN based controllers. 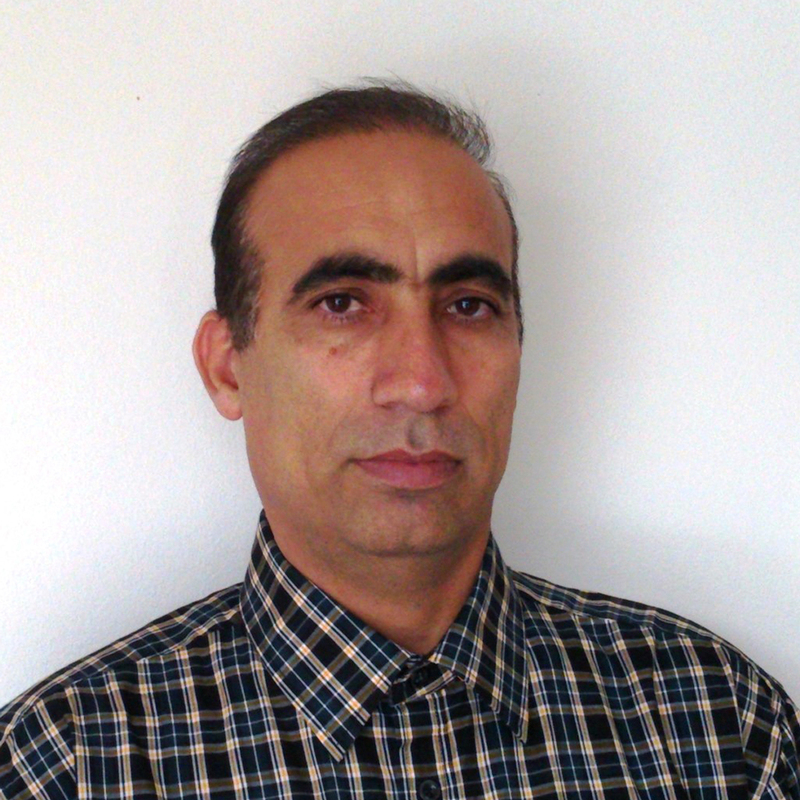 Jafari, M, Malekjamshidi, Z, Yazdanpanah lari, MH & Salehi, M 2011, 'Simulation and Implementation of a Fuzzy Controlled Charger for Ni-Cd Batteries', Global Journal of Technology and Optimization, vol. Vol.2, pp. 57-63.
temperature are kept safe and stable during the charging process. This chapter presents various aspects of grid-connected distributed generation systems with electric vehicle, including the historical growth of two dominating renewable energy sources, i.e., wind and solar, the existing technologies for large-scale generation, transmission and distribution, power quality, reliability, technical challenges, and possible solutions. Recent development of grid integration technologies, converter topologies, and control techniques are the foremost intention of this chapter. Jafari, M & Malekjamshidi, Z 2009, 'Design, Simulation and Implementation of a Fuzzy-PID Controller for Controlling a DC-DC Converter' in Advances in Neural Networks - ISNN 2009 6th International Symposium on Neural Networks, ISNN 2009 Wuhan, China, May 26-29, 2009 Proceedings, Springer Science & Business Media. This paper proposes topology of a magnetically coupled residential micro-grid consisting of a multi-port dc-dc converter and a single phase grid-connected bi-directional inverter. It integrates photovoltaic (PV) and fuel cell energies to supply the residential load via a common high-voltage dc bus linked to a single phase bidirectional inverter. A battery is used to store the surplus energy of the system and stabilize the bus voltage of the fuel cell port. The multi-port converter includes a three port phase shift converter for integrating renewable sources, a bidirectional buck-boost converter for charging and discharging the battery and an interleaved boost converter for boosting the PV voltage and maximum power point tracking. Using interleaved topology has reduced the effects of both high frequency current ripple and low frequency voltage ripple propagated from inverter on the maximum power point tracking (MPPT) performance. The steady state operation and control strategy of the proposed micro-grid are discussed and simulation results are presented. Improvements in characteristics of magnetic materials and switching devices have provided the feasibility of replacing the electrical buses with high frequency magnetic links in micro-grids. This effectively reduces the number of voltage conversion stages, and the size and cost of the renewable energy system. It also isolates the converter ports, which increases the system safety and facilitates bidirectional power flow and energy management. To design the magnetic link optimally, an accurate evaluation of copper loss of the windings considering both current waveforms and parasitic effects is required. This paper studies the accurate copper loss analysis of a three-winding high-frequency magnetic link for residential micro-grid applications. Due to the non-sinusoidal nature of the voltage and currents, the loss analysis is carried out on a harmonic basis taking into account variations of phase shift, duty ratio and amplitude of waveforms. The high frequency skin and proximity effects have are taken into account. The maximum and minimum copper loss operating points of the converter and their dependency on the phase shift and duty ratio of the waveforms are studied and simulation results are presented. This paper is concerned with the process of current commutation and overvoltage protection in matrix converters. The mechanisms involved in the commutation process and clamp circuit are described and simulation waveforms are presented. A four-step semi-soft commutation strategy is described that this technique relies on knowledge of the output current direction and the ability to control the direction of current within the switches. Also a clamp circuit is demonstrated by simulation as an overvoltage protection for matrix converter. Simulation results are presented using a simulation model of the three-phase direct matrix converter in MATLAB/Simulink. © 2016 IEEE. The main objective of this paper is determining Darwin's humanoid robot direct and inverse kinematics. The kinematic and dynamic studies of the robotic systems are the principles and key issues in path control, motion planning, stability and motion modeling. In order to achieve stable and reliable movement in a variety of environmental conditions, it is necessary to take a comprehensive analysis of mobile robot kinematics and dynamics. On the other hand, the higher number of degrees of freedom (DOF) of this type of robots, make the kinematic and dynamic analysis of their movements far more complicated. In this study, direct and inverse kinematics of Darwin's humanoid robot is fully calculated. The derived equations are verified using MATLAB and Webots in which Darwin's model is available. Results show the accuracy of calculated equations. © Springer International Publishing Switzerland 2015. In this paper we aim to discuss adaptive flocking control of multiple Unmanned Ground Vehicles (UGVs) by using an Unmanned Aerial Vehicle (UAV). We utilize a Quadrotor to provide the positions of all agents and also to manage the shrinking or expanding of the agents with respect to the environmental changes. The proposed method adaptively causes changing in the sensing range of the ground robots as the quadrotor attitude changes. The simulation results show the effectiveness of proposed method. Nguyen, T., La, H.M. & Jafari, M. 2015, 'On the Formation Control of a Multi-Vehicle system', Proceedings - ISSAT International Conference on Modeling of Complex Systems and Environments 2015, pp. 34-38. In this paper, a novel approach to the formation control of multiple rectangular agents with limited communication ranges is presented. By utilizing an artificial potential function, the proposed control algorithm can guarantee fast formation performance and no collision among agents. Hence, the rectangular agents can collaborate to form a pre-defined shape of formation without collisions. A simulation result is conducted to demonstrate the effectiveness of the proposed algorithm. Dual active bridge phase shift converters have attracted a lot of research interest due to their excellent capabilities such as simplicity in structure and control and bidirectional power flow ability. They are employed in a wide range of renewable energy systems due to their distinguished features. Although there are lots of research on theoretical analysis and practical operation of these converters, research on limitations and boundaries of operation still requires more attention. This paper provides a brief review on power transfer range, soft switching operation and converter currents in different operation modes of dual active bridge converter. It provides more detailed information on appropriate range of converter parameters such as voltage transfer ratio, duty ratio and phase shift angle and their effect on power transfer range via numerical simulations. This paper provides a brief comparison between two different modulation methods for direct matrix converter (DMC). The power semiconductors are modelled as ideal bidirectional switches and the DMC is controlled using Venturini method, optimized Venturini and space vector modulation respectively. These methods are compared and analysed in some aspects such as total harmonic distortion and harmonic spectrum analysis of output voltage and input current. A simple model of DMC is proposed to represent the power circuit, including the input filter and a three-phase Y-connected RL load. Simulated input and output parameters of DMC are presented using PSIM software for both modulation strategies. Multi-winding transformers as main part of multiport phase shift converters play an important role in integration of renewable energy sources, storage device and loads. The range of power transfer in multi-port phase shift converters particularly depends on the leakage inductance of multi-winding transformer. Numerical analysis such as 2D and 3D finite element methods have been widely used in analysis of magnetic structures and estimation of leakage inductance although their computation time is the main issue especially in online and iterative design processes. In this paper, a 3D reluctance network is introduced for modelling of magnetic flux distribution and estimation of self and leakage inductances of multi-winding toroidal core high frequency transformer. The proposed network is formed in cylindrical coordination, according to the geometrical shape of toroidal core. The effective factors on accuracy of model and computation time are studied and the results are compared with experimentally measured parameters to verify the accuracy of model. lead acid battery for a residential based renewable energy system. presented based on the factory provided manuals. In this study Neural Adaptive based on backstepping and feedback linearization is used for velocity control and recognition of an electro hydraulic servo system (EHSS) in the presence of flow nonlinearities, internal friction and noise. This controller consists of three parts: PID controller, nonlinear controller (i.e. Backstepping or Feedback Linearization) and neural network controller. The backstepping or feedback linearization controller is utilized to avert the system state in a region where the neural network can be accurately trained to achieve optimal control. The combination of controllers is used for producing a stable system which adapts to optimize performance. It is shown that this technique can be successfully used to stabilize any chosen operating point of the system with noise and without interference. All derived results are validated by computer simulation of a nonlinear mathematical model of the system. The controllers which introduced have a big range to control the system. We compare both Neural Adaptive based on backstepping and Neural Adaptive based on feedback linearization controllers result with feedback linearization, backstepping and PID controller. © 2014 IEEE. In this study a Neural Adaptive method is used for position control and identification of a Magnetic levitation system. This controller consists of three parts: PID controller, radial basis function (RBF) network controller and radial basis function (RBF) network identifier. The combination of controllers produces a stable system which adapts to optimize performance. It is shown that this technique can be successfully used to stabilize any chosen operating point of the system. All derived results are validated by computer simulation of a nonlinear mathematical model of the system. © 2014 IEEE. This paper provides a brief review on characteristics of main topologies of voltage source multilevel inverters. The selected topologies included conventional two levels, flying capacitor, neutral point clamped, three levels and seven levels cascaded H-bridge inverters. Several performances of topologies including quality of waveforms of output voltage, cost, complexity and reliability are selected as indicators for comparative study. The proposed topologies are simulated under the same load conditions in P-SIM environment. This paper provides a systematic study on characteristics of a multiport converter with application in residential consumers of smart grid. The proposed converter can be used as a part of renewable energy system both in off-grid and grid connected customers. The study included several characteristics like efficiency, cost, reliability, flexibility and complexity of converters. Finally, the appropriate range of power and the modular structure are selected for the multiport converter. It is shown that a modular structure is preferable for residential consumers as it covers a wide range of demands. It also improves the reliability of renewable energy system especially in case of off-grid customers. This paper proposed a 43-level 3-phase 33 kV modular multilevel cascaded (MMC) converter for direct grid integration of renewable generation systems. A high-frequency magnetic-link is considered to generate isolated and balanced multiple dc sources for all of the H-bridge inverters of the MMC converter. The proposed converter is designed and analyzed taking into account the specified system performance, control complexity, cost and market availability of the semiconductors. The simulation results demonstrate the excellent feature of the proposed medium-voltage converter. It is expected that the proposed new technology will have great potential for future renewable power plants and smart grid applications. This study applies technique PDC (parallel distributed compensation) for speed control of a Digital Servo System. PDC method is based on nonlinear Takagi-Sugeno (T-S) fuzzy model. Also in this study Neural Adaptive is used for velocity control and identification of a Digital Servo System. It is shown that these techniques can be successfully used to stabilize any chosen operating point of the system. All derived results are validated by experimental and computer simulation. The controllers which introduced have big range for control the system. We compare PDC controller with Neural Adaptive controller results and PID controller. © 2013 IEEE. For the first time in this paper, Brain Emotional Learning Based Intelligent Controller (BELBIC) is applied to attitude control of a Quadrotor. BELBIC controller is designed based on the computational model of emotional learning process in mammalian brain limbic system. Proposed control algorithm is employed because of the learning ability and independency to system model and also satisfactory performances dealing with disturbances and changing in system parameters. Quadrotor is an Unmanned Aerial Vehicle (UAV) which has the capability of Vertical Take-Off and Landing (VTOL). Simulation results of controlling Quadrotor with BELBIC are addressed. Also pitch angle disturbance is applied due to examine system performances. © 2013 IEEE. In this paper, a biologically motivated controller based on a mammalian limbic system called Brain Emotional Learning Based Intelligent Controller (BELBIC) is used for speed control of a Digital Servo System. The proposed controller is applied experimentally to a laboratory Digital Servo System 1 via MATLAB external mode. Comparing results of the proposed controller with conventional PID controller shows satisfactory performance including faster response and lower overshoot. ©2013 IEEE. In this paper, an optimal parameter assignment methodology for intelligent controller based on computational model of emotional learning in mammalian brain is presented. Brain Emotional Learning Based Intelligent Controller (BELBIC) is an intelligent controller based on emotional learning process in mammalian limbic system. The proposed controller has been applied to control a single link flexible joint manipulator. In this paper, the CLONAL Selection Algorithm is utilized to obtain superior controller parameters in order to minimize Rise time, Settling time and Overshoot. © 2013 IEEE. In this paper, performances of three topologies of bidirectional ports applicable to phase shift converters are compared. The proposed topologies include full bridge, half bridge and boost-half bridge that are commonly used as bi-directional port in various topologies of DC converters. The proposed analyses based on several indicators and characteristics of the topologies including reliability factor, switching loss, current ripple, cost, size, efficiency, range of power flow versus phase shift angle and control complexity. A phase shift converter based on proposed topologies was simulated using P-SIM. The analysis shows that considering all effective factors, full bridge topology provides better characteristics compared with others and can be selected for a phase shift converter. Also in some applications other topologies still remain a favorite choice. In this paper, a practical Fuzzy controlled power distribution system (PDS) for supplying telecommunication sites, mobile and satellite Base stations is designed, simulated and experimentally tested. The system consists of a fuzzy controlled power management system (FCPMS), several paralleled switching mode rectifiers (SMR), batteries and other appropriate equipments. The SMR units supply load and charge batteries in normal conditions and batteries should supply the load in an AC power outage via an online control with FCPMS. The FCPMS performs two intelligent operations. Firstly provides an online current sharing capability for paralleled SMR units during their normal condition of supplying load and charging batteries. Secondly, maintains a fast and stable charge for battery set while battery voltage and temperature is kept safe and stable during the charge process using a fuzzy based algorithm. The simulation results confirm experimental responses. This paper presents simulation, design methodology and implementation of a Half Bridge DC-DC Converter using an optimized multi-layer feed-forward Artificial Neural Network (ANN). The ANN controller provides an appropriate control signal to keep the output voltage of the converter stable. It was trained, using back-propagation algorithm according to an ideal MATLAB SIMULINK model of the converter. The Ideal model is run `off-line' to generate a record of `perfect' control signals in response to input and output perturbations. The recorded data then are used as an 'off-line' training set for a Neural Network controller. A network pruning algorithm is used to reduce the size of controller and an online training process performed to fine-tune the controller parameters as well. Experimental results show that the ANN controller can guarantee an acceptable load and line regulation and provide improved performances. The proposed controller can be readily expanded to other topologies of DC converters. In this paper a cascade - LC resonant power converter on base of a hybrid controller is introduced. To control the output voltage of converter, Artificial Neural Networks and PID classic controllers are combined. A multi-layer feed-forward artificial neural network is employed to achieve real-time control. The PID classic controller regulates the voltage on base of an Online PWM process while The ANN controller changes the switching frequency to maximize the voltage gain and consequently to increase the efficiency of converter. The resulted trained ANN was tested on an ideal simulated model of the converter for fine tuning. A prototype was designed and implemented on base of the proposed controller and was tested experimentally. Comparison between simulation and experimental results verified the proposed hybrid controller. © 2012 IEEE. This paper proposes a new topology for multi-input multi-output Buck-Boost DC-DC converter based on the concept of matrix and Buck-Boost Converters to interface efficiently between DC loads and various DC power sources in a microgrid. A power sharing process can be applied among the input sources and output loads to control the contribution of each input sources in supplying the output loads. The input sources can be used in various power and voltage ranges and the output voltages can change from values greater than the maximum to lower than the minimum input voltages. Theoretical analysis and simulation results are presented. In this paper, we propose a new generalized trace kernel for measuring the similarity between data points of matrices form which have the same number of rows and different number of columns. Also, we propose a hierarchical clustering algorithm based on this kernel function. The clustering algorithm has been utilized in a video indexing system to cluster video shots. The experimental results on TRECVID 2006 data set confirm the effectiveness of the proposed kernel function and clustering algorithm. © 2011 Springer-Verlag. Node position information is one of the important issues in many ad hoc network usages. In many ad hoc networks such as military or mobile sensor networks one or more central nodes need to know the location of all the nodes. In addition, in some routing protocols especially location aware protocols (LAR), the nodes should have the location of each others. Therefore, in some ad hoc network application, knowing the location of nodes is considered, but propagating the nodes position information in the network is the big challenge in ad hoc networks. Since, increasing the number of nodes lead to increase the traffic of the network exponentially. In this paper, we have applied special learning method to predict the node location. Thus, nodes don't need to propagate their location information regularly. By this method we can reduce the traffic overhead of network that increase the network's scalability. © 2011 Springer-Verlag. In this paper, two methods of control for high-voltage Full Bridge Series-Parallel Resonant (FBSPR) DC-DC converter are proposed and the results are compared. Soft switching operation using Zero Current Switching (ZCS) and Zero Voltage Switching (ZVS) technologies is employed to decrease the losses and optimize the efficiency of converter. The way of obtaining small-signal model of FBSPR converter using the generalized averaging method is discussed. Then two control methods using Artificial Neural Networks (ANN) and Sequential State Machine (SSM) are explained and the experimental results are compared. The ANN controller is trained according to the small signal model of the converter and operating points and the SSM controller operates on base of a finite number of states, actions and functions and determines transition from one state to another according to FBSPR converter conduction status. To compare the performances of two controllers, a prototype is designed and implemented. The prototype is tested for step changes in both output load and reference voltage at steady state and under transient conditions. Comparison between experimental results for both ANN and SSM controllers show better speed performances for SSM controller in small changes in load and more reliability for ANN controller in case of large variations. © 2011 IEEE. A new method of control for high-voltage Full Bridge Series-Parallel Resonant (FBSPR) DC-DC converter with capacitive output filter, using Artificial Neural Networks (ANN) is proposed in this paper. The output voltage regulation obtained via high switching frequency and Soft switching operation (ZCS and ZVS technologies) to decrease the losses and optimize the efficiency of converter. In the following sections, The small signal model of converter is used to simulate the dynamic behavior of real converter using Matlab software. It was also used to obtain ideal control signals which are the desired ANN inputs and outputs and were saved as a training data set. The data set is then used to train the ANN to mimic the behavior of the ideal controller. In fact the ANN controller is trained according to the small signal model of converter and the ideal operating points. To compare the performances of simulated and practical ANN controller, a prototype is designed and implemented and is tested for step changes in both output load and reference voltage. Comparison between experimental and simulations show a very good agreement and the reliability of ANN based controllers. © 2011 IEEE. In this paper, two methods of control for high-voltage Full Bridge Series-Parallel Resonant (FBSPR) DC-DC converter are proposed and the results are compared. Soft switching operation using Zero Current Switching (ZCS) and Zero Voltage Switching (ZVS) technologies is employed to decrease the losses and optimize the efficiency of converter. The way of obtaining small-signal model of FBSPR converter using the generalized averaging method is discussed. Then two control methods using Artificial Neural Networks (ANN) and Sequential State Machine (SSM) are explained and the experimental results are compared. Comparison between experimental results for both ANN and SSM controllers show better speed performances for SSM controller in small changes in load and more reliability for ANN controller in case of large variations. © 2011 IEEE. Iari, MHY, Jafari, M, Salehi, M, Imanieh, M & Malekjamshidi, Z 2010, 'Simulation and implementation of a fuzzy controlled charger for Ni-Cd batteries', 2010 IEEE INTERNATIONAL CONFERENCE ON WIRELESS COMMUNICATIONS, NETWORKING AND INFORMATION SECURITY (WCNIS), VOL 2, IEEE International Conference on Wireless Communications, Networking and Information Security (WCNIS), IEEE, N China Elect Power Univ, Beijing, PEOPLES R CHINA, pp. 653-+. In This paper a new Fuzzy Controlled Welding Machine (FCWM) is introduced and the results of the new control method are explained. The Fuzzy controller is applied to the welding machine to improve some problems of welding process. The new intelligent controller guaranties a constant current during welding to improve welding quality. It also provides some features such as hot-start and anti-stuck function and a standby mode for energy saving. The effectiveness of this intelligent welding machine was proven by the experimental results and durable test. The results show that designed FCWM can be used in mobile welding industries. ©2010 IEEE. Malekjamshidi, Z, Jafari, M & Imanieh, M 2009, 'Comparison between pure Fuzzy and Hybrid Fuzzy-PID controllers on a DC-DC converter', AUPEC'09 - 19th Australasian Universities Power Engineering Conference: Sustainable Energy Technologies and Systems. This paper presents the design, simulation and implementation of hybrid powerful Fuzzy-PID (FZ-PID) controller compared with a pure Fuzzy one. The FZ-PID controller was combined from PID and Fuzzy ones. The FZ-PID was used to regulate the output voltage of a Full bridge DC-DC converter and experimentally was tested .these results were also predicted using computer simulation. This controller based on a qualitative description of the system to be controlled and its implementation is relatively simple. Experimental results show that this hybrid controller can guarantee a small variation of voltage in working point and keep these parameters in safe and stable condition. Finally Results of such a control system is compared with a pure fuzzy controller and results show that new hybrid FZ-PID controller provides better system responses and control potentialities. In this paper, an intelligent battery charger for a set of Ni-Cd batteries is designed, Simulated and experimentally tested. A Fuzzy inference process utilized in a Power Management System (PMS) to control a BUCK converter as a battery charging system. Battery temperature and voltage variations are used as controller input variables and charge current as output. Battery voltage and temperature is kept safe and stable during the charge process. Experimental results also confirmed by computer simulation and show control potentialities. © 2009 IEEE. This paper presents the design, simulation and implementation of hybrid powerful Fuzzy-PID (FZ-PID) controller. The arithmetic of PID control is simple and the stability of it is good. However, the dynamic characteristics of PID control are poor . The fuzzy logic control method is flexible and adaptive and does not rely on a mathematical model of the system and can deal with the nonlinearity of parameters and uncertain problems . This general-purpose FZ-PID regulates the output voltage of a Full Bridge dc-dc converter and experimentally tested. This controller based on a qualitative description of the system to be controlled and its implementation is relatively simple. Experimental results show that this controller can guarantee a small variation of voltage in working point and keep these parameters in safe and stable condition and an improved large-signal response. Finally Results of such a control system is compared with a pure fuzzy controller and results show that new hybrid FZ-PID controller provides better system responses and control potentialities. © 2009 Springer Berlin Heidelberg.